My Mother Said I Never Should Is Coming To St James Theatre! Paul Robinson, Artistic Director of Theatre503, and Tara Finney (the award-nominated team behind Land of our Fathers), have launched a new theatre production company together, Tiny Fires Ltd.
Their inaugural production, My Mother Said I Never Should at St James Theatre, will be the first revival in London of Charlotte Keatley’s award-winning debut play in 25 years. Despite this, is the most performed play ever by a female playwright and its timeless cultural significance is highlighted by the fact it is part of the English Literature curriculum. Director Paul Robinson says, I have wanted to direct My Mother Said for over fifteen years. It’s a timeless and universal play and, unbelievably, it’s the most performed play ever by a female playwright. It’s got four incredible female characters and of course it’s a play about women but not exclusively. It’s really about the Larkin truism that “they f*** you up your mum and dad, they may not mean to but they do…” but it improves it. The play suggests that, while it’s incredibly hard, we can break the generational cycles of abuse in which we become trapped. Tickets are available from http://www.stjamestheatre.co.uk or 0844 264 2140 from £15. Actor David Haig Loses The Beard For His Craft! David Haig becomes Guys & Dolls’ Nathan Detroit in London’s famous Murdock & Co barbershop. Receiving a dapper shave and haircut to really get him in to character, catch him chatting during during the process in the video below! 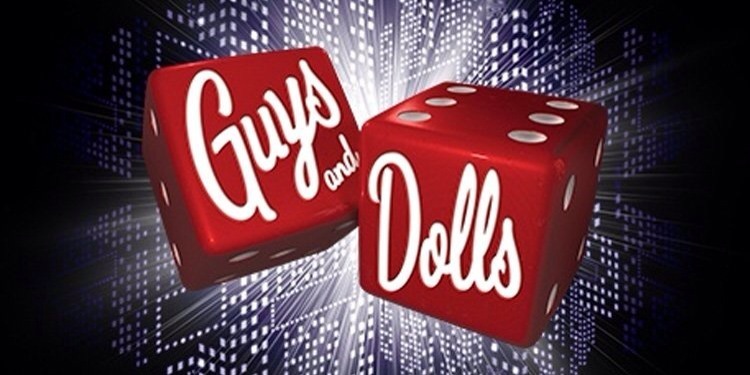 Guys and Dolls begins its run at Manchester’s Palace Theatre from November 10th and Birmingham’s New Alexandra Theatre from the 24th before transferring to London’s Savoy Theatre on December 10th. The Theatre503 Playwriting Award Returns In 2016! The Theatre503 Playwriting Award is back for its second year and will open for entries from 1st – 29th February 2016. Theatre503 is well-known as the new writing powerhouse that has launched the careers of playwrights Dennis Kelly (Matilda The Musical, Utopia), Katori Hall (The Mountaintop), Tom Morton-Smith (Oppenheimer), Chris Urch (Land of Our Fathers) and Anna Ziegler (Photograph 51), as well as being the smallest theatre to win an Olivier Award for Best New Play. The Theatre503 Playwriting Award provides an unprecedented opportunity for playwrights at all levels to be recognised for an original piece of work. The re-launch of this biennial award is made possible by the generous support of The Richard Carne Trust and Curtis Brown Creative. It follows the outstanding success of its inaugural year which saw joint winners Bea Roberts and Paul Murphy each receive £6,000. Both plays were staged at Theatre503 to high acclaim with And Then Come The Nightjars receiving 14 four-star reviews and six Off West End Award Nominations. Both winning plays were also published by Nick Hern Books, who are returning as Publishing Partner for the award in 2016 and will be publishing the winning play (or plays), as well as sponsoring the award ceremony in the autumn. The recipient of the 2016 award will receive a prize of £6,000 and a guaranteed production of their winning play. 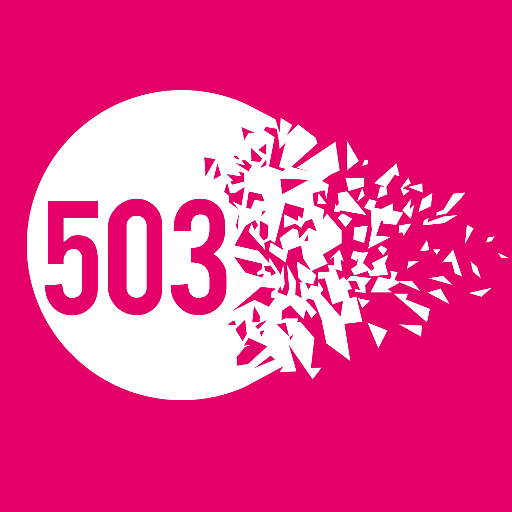 All UK submissions will automatically be put forward for the next 503Five resident writer’s scheme. The award will be open to any playwright aged 16+ and writers may submit one unproduced, full-length play. There will be no restriction based on the number of previously professionally credited productions. Scripts will be submitted via an online form on the Theatre503 website. Full information about submission criteria will be released in due course. In the meantime, writers are encouraged to sign up to the Theatre503 Writers’ Newsletter or follow the Writers’ Facebook page. Regional Theatre: What Can It Really Offer You? Regional Theatre. Yes a Theatre that isn’t one of London’s West End or Fringe venues..revolutionary isn’t it?! Well no, because unless you live on a mountain in the remotest part of the UK, there will be a regional theatre in close proximity. I’m not going to preach to you the wonder of regional theatre, but simply what it can offer you, if you give it your attention. If you already do revel in the rewards of your local theatrical hub, then I hope you find these points a summary of why you are an avid supporter of them. This is not of course a guarantee with every theatre, but there are some hidden gems by a wealth of incredible creative teams, just waiting to be discovered. Take a chance on a production, if it sounds intriguing then explore it by going to watch it. Missed a Show in the West End that you really wanted to watch because of lack of cash and/or finding the time to see it? The chances are it will be touring soon and at a theatre in your area, so check online! The wealth of actors cast in regional theatre productions is a treasure to behold. Lesser known actors, as well as more established ones, give audiences a variety, as well as new talent a chance to thrive. Schemes set up for local communities such as Doorstep Arts in Torbay, are a prime example of nurturing the creative energies and gifts that one area can possess. Local theatres are a way of being able to showcase this rich diversity. Ultimately everyone goes to the theatre wanting to be entertained, feeling like they have seen something special and worthwhile. Regional theatres have on average shows with shorter runs than larger west end theatres, so they will more than likely have a show that will please every member of your family or friends. Hope you have seen a reason or two to why your local theatre can give you an experience that will enrich and hopefully indeed inspire. Invisible Treasure To Be Seen By All! Invisible Treasure is an interactive digital playspace. Through cutting-edge sound, sensor and projection technologies, players are immersed in the narrative and taken on an explosive journey through seven levels of unreality. Within the microcosm of this videogame-like realm, the dynamics of human relationships are key. How do we progress when there is no clear leader or set of rules? Provoking questions about individual agency, power and control, Invisible Treasure explores how we interact with the world around us, when so much of it is beyond our field of vision. Creator and Director Rachel Briscoe comments: Invisible Treasure is all about the invisible systems – the internet, electricity, the financial markets – that shape our lives, and how we react to them. There’s no actors – we want audiences to locate power in themselves and each other, rather than this other class of person. We are really excited by all the new theatrical ‘toys’ that the collaboration with Hellicar&Lewis brings – it’s as close to magic as we’ve ever got! With versions for adults and for families, the dark playspace craves your energy to come alive. When will you follow the rules and when will you break them? What risks are you prepared to take? How will you know if you’re seeing the whole picture? It’s time to join the dots. Invisible Treasure is a Tipping Point and Stories of Change Commission, with Ovalhouse; supported by the National Lottery through Arts Council England, the Royal Victoria Hall Foundation, the Sculpt the Future Foundation and Unity Theatre Trust. Tickets are available priced £12 (£7 concessions) Available from Ovalhouse Box Office and http://www.ovalhouse.com, 020 7582 7680. Non Zero One Are Interactive At The Other Art Fair! Non Zero One explore ideas of audience responsibility and make interactive performances that enable participants to become authors of their own experience. By exploring how interactivity works in different settings they are able to engage with those uninitiated in theatre, not just experienced theatre-goers. 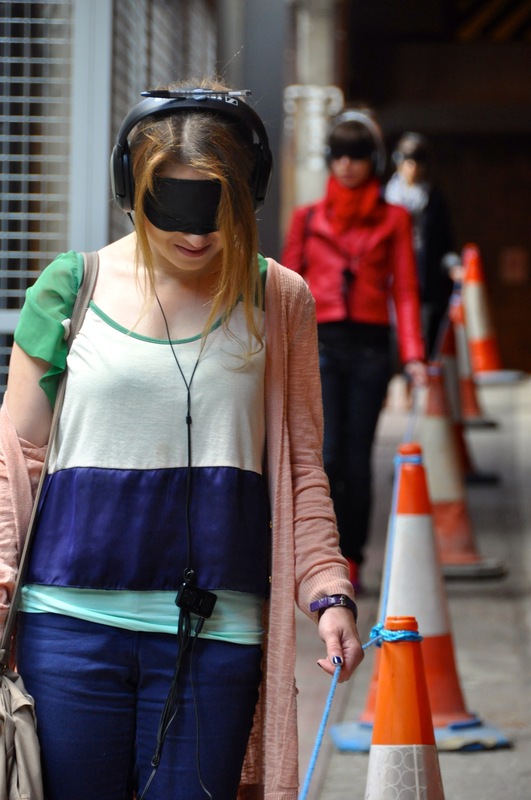 They will be performing Untitled (audio with pen) at The Other Art Fair which is an audio-based piece where participants are told nothing of what they are going to do. Instead, while queuing for the fair, they are asked whether they are curious. They are then drawn slowly in, having to continually question how far they want to involve themselves and being encouraged to go beyond the traditional boundaries set for both theatre and art fairs. The choice to perform at The Other Art Fair was made due to a shared interest in bringing new audiences into the arts and breaking the traditional rules of art and theatre settings. Like non zero one, The Other Art Fair brings a new approachability to art, allowing direct interaction with the artists themselves. Peter Hamilton’s Playground is a gruesomely comic follow-up to his hit play Bridlington, and reunites him with acclaimed director/designer and Old Red Lion legend Ken McClymont (Mugs Arrows, No Picnic, Beak Street) in a story of things falling apart beneath the swing-set. Playground is about a fragmented, broken society. It’s about the lost, the damaged and the disappointed. About rattling about in the nightmarish modern world. It takes the form of a murder mystery. It takes place in a park. Someone’s been decapitating children with a fret-saw. Someone’s been reading Enid Blyton. Something has gone badly wrong. Two detectives struggle to solve a spate of child murders in Victoria Park, East London. Small bodies found beheaded with a Famous Five novel lying open on top of them. Suspects are readily available: previous and current patients at Bow Road Psychiatric Unit; Danny, a night cleaner at Canary Wharf; Stuart, a rough-sleeper from Walthamstow; private school drop-out-turned-Communist Tamsin; or frayed and failed Carolyn who teeters on the brink of another suicide attempt. Then there’s Bella, the proprietor of canal-side Drop-In Cafe, who just happens to go about with a ferocious looking knife in her shoulder-bag. One Hecuba Trailer Has Been Released! 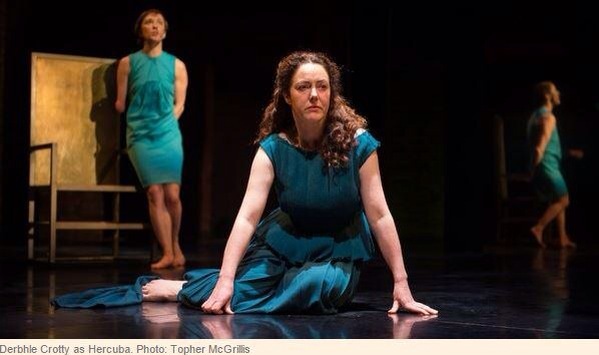 Yes you are watching the rather wonderful trailer for Marina Carr’s “beautiful, terrifying and uncannily eloquent” version of ‘Hecuba’, from The Royal Shakespeare Company at the Swan Theatre, Stratford-Upon-Avon. ‘Hecuba’ is finishing it’s run on October 17th, so don’t miss out on this haunting production. To mark the centenary of Arthur Miller’s birth, Sean Turner and the Old Red Lion, in close association with the Miller Trust, are proud to present the World Premiere of the until now long-lost first play of one of America’s greatest dramatists and political icons. Over six days during spring break 1936 at the University of Michigan, a twenty year old college sophomore wrote his first play, No Villain. His aim was to win the prestigious Avery Hopwood award and, more importantly, the $250 prize he needed in order to return to college the following year. Miller won the award, and the subsequent one, but the play was never produced – until now. No Villain tells the story of a garment industry strike that sets a son against his factory proprietor father. Here, Miller explores the Marxist theory that would see him hauled before the House Un-American Activities Committee years later. This remarkable debut play gives us a tantalising glimpse of Miller’s early life, the seeding of his political values and the beginning of his extraordinary career. Miller commented, My first attempt at a play, rather inevitably, had been about industrial action and a father and his two sons, the most autobiographical dramatic work I would ever write. Director Sean Turner comments, Arthur Miller is an idol of mine and I am indescribably proud to have the chance to present a World Premiere of one of his works. It took me eighteen months of research to discover the play and I am delighted that we will present its first outing in this centenary year of his birth. No Villain is a vital addition to the Miller repertoire and gives us a vivid autobiographical glimpse of his youth. In association with this production, Miller’s 100th Birthday will be celebrated at the Old Red Lion on 19th October where four upcoming writers (Jessica Sian, Sevan K Greene, Felix O’Brien and Elizabeth Rutherford-Johnson) have been asked to write short plays in response to one of Miller’s big four plays. In addition, renowned director Sir Richard Eyre will be ‘in conversation’ about his friend and colleague Arthur Miller at the Old Red Lion on 26th October. Everyone has an opinion on new Musical Theatre. Whether it be the now familiar lament of another adaptation of a film being brought to the stage, or the fact it’s oh so new that audiences are not willing to translate curiosity in to purchasing tickets. As an observation these two seem the most widely voiced views..and both are negative. The ravaging of the ‘Juke Box’ Musical is also a bemoaned topic too that I won’t go ahead and bore you with! There are on the contrary, many exciting things to be shouted from the rooftops (perhaps with a megaphone), that new musical is doing incredibly right. An example of this would be The White Feather, an original new Musical currently at The Union Theatre. With music that oozes class, consideration and authenticity, you have a foundation for something pretty special. This is what Ross Clark’s score provides in large amounts with The White Feather. The haunting quality of the music is superbly complimented by the masterful direction of Andrew Keates, who brings the production to life. Compared to the recent Dusty The Musical which was a tribute to an icon with no real grasp of creating a new light on Dusty Springfield, (relying on musical video footage rather than characterisation due to an uninspired script), The White Feather is a breath of crisp fresh air. Being an absolute original work with book by Ross Clark makes the world of difference, especially when about such a sensitive subject as World War I. The upcoming From Page to Stage festival of new Musical Theatre works at Tristan Bates Theatre, promises to be a showcase of the upcoming creatives and performers of the genre. Produced by Aria Entertainment, this showcase celebrates new writing in all it’s glory, with a number of new musicals, all ranging in different styles and genres. There is a lot of expectation and good will to succeed with new shows. Audiences want to see something that moves them, makes them laugh or cry. No one intentionally wants to buy a ticket to something that doesn’t click with an audience, everyone goes to see a new show in good faith. Of course there is a morbid curiousity sometimes, when a negative review is bad, but this is just a very small minority. Celebrating the good of new Musical Theatre should be a priority, as well as highlighting the early closures or churning out the same reasons continuously why a production hasn’t worked. There is a wealth of creative talent out there, that as a performer and reviewer ignites a fire within.